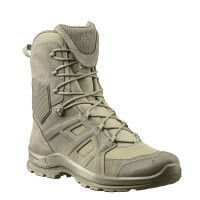 Product information "HAIX Black Eagle Athletic 2.0 V T high/desert Sidezipper"
The HAIX Black Eagle Athletic 2.0 V T high/desert Sidezipper is a light, stable and multifunctional boot. 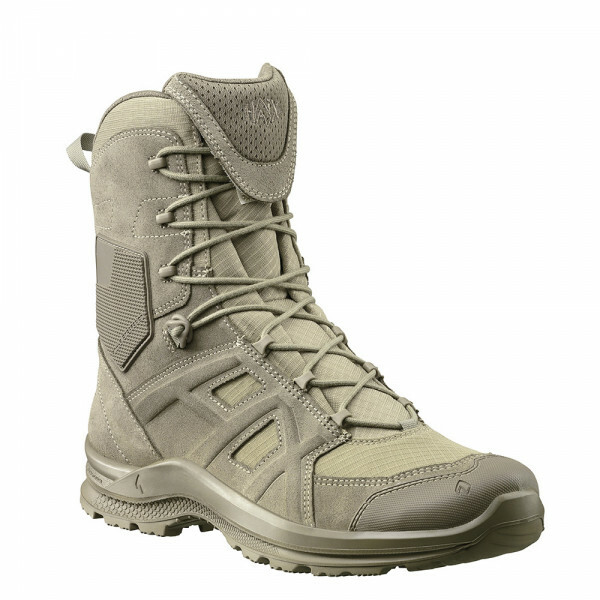 The HAIX Black Eagle Athletic 2.0 V T high/desert Sidezipper provides maximum protection against the heat, cold and wet to hunters, soldiers and police officers alike as the shoe is exceptionally light and fits your foot perfectly. The HAIX Climate System is integrated into the boot. It uses the pumping movement that occurs when walking to transport moisture to the ventilation openings on the shaft and tongue. The boot®s padded shaft protects the ankle from injuries caused by side impacts or blows. Thanks to the two-zone lacing system, you can adjust the width separately for the calf and foot.